A quote image about true friendship. A true friend will talk ill about you before your face and a fake one talk behind your face. 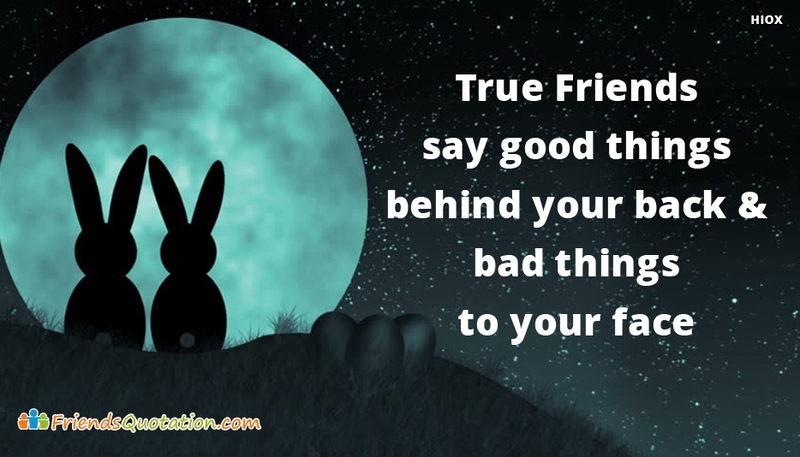 The image "True Friends Say Good Things Behind Your Back and Bad Things To Your Face" can be shared for free to you bestie through any social media platforms.